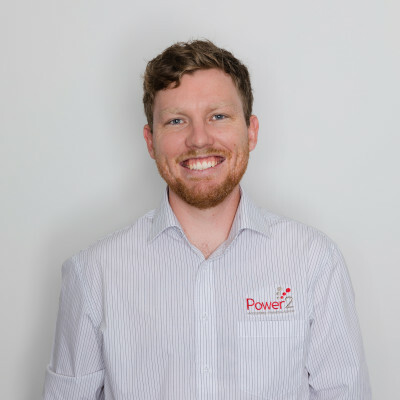 Hamish started with Power2 in 2009 coming to the business from the Australian Tax Office. His face may be familiar as he was responsible for client income tax returns and easily completed over 2000 face to face interviews a year in those early days. In 2014, Hamish and his wife Melissa decided to travel and while he was away, he started his post graduate study while working in the Financial Planning industry. He lived and worked in Melbourne for several years and then in Brisbane as a Financial Planner. Fast forward to 2018, Hamish and Melissa have moved back to Mackay to raise their young son and enjoy the benefits of regional living. Hamish has a Bachelor of Business majoring in Accounting from QUT, is a Certified Practising Accountant, has a Diploma of Financial Planning, a Graduate Certificate in Financial Planning from the University of New South Wales and is currently completing his Masters in Financial Planning with Deakin University. Clients of Hamish have the rare opportunity of dealing with a Financial Planner who is also an Accountant. They can expect to receive well rounded advice delivered in a friendly and down to earth manner.